Last week, we took a poll about who you guys think has been the biggest star of the pre-season for newcomers, and I included Jeff Green because he was injured last season. Jared Sullinger won with over 50% of the votes, and Jeff Green was tied for second with Courtney Lee and Jason Terry, all with roughly 12% of the votes. Everyone keeps going on about how good our team is going to be because of our depth but here are some reasons why each player will succeed in our system. 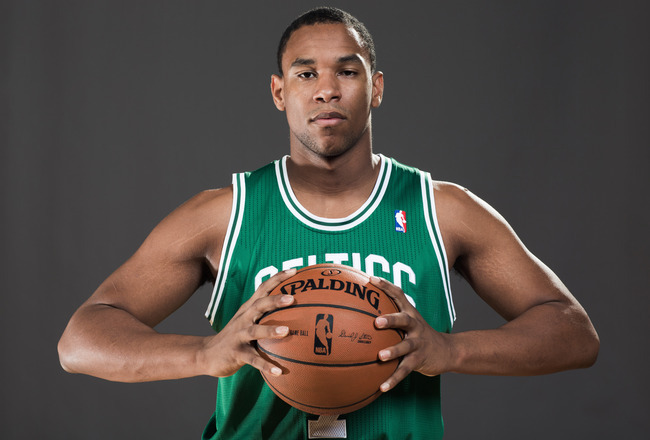 Jared Sullinger: Rookie that fell to us in the draft, should have been a high lottery pick if not for an injured back last season. Not too many rookies get minutes in our system, but Jared could be starting some nights. KG and Doc Rivers have both said that he has a very high basketball IQ and does not play like a rookie typically does. 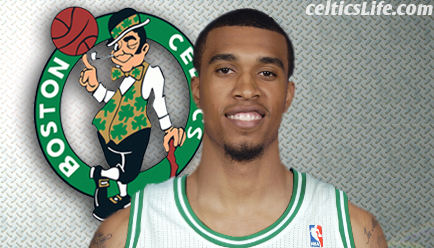 He has adapted to the Celtics’ system real quick, and is not timid out on the court. He rebounds consistently and shoots right when he gets the open look, rather than hesitate and up fake 15 times like a lot of smaller big men like himself. And good news for C’s fans: Garnett said he is “giving him the book, teaching him everything I know”. Jeff Green: Doc Rivers came out and said that Green has been the biggest player for them this season. Rightfully so, since he is making a bundle over the next 4 years in a deal that many think is way to high for a player that didn’t play last season. 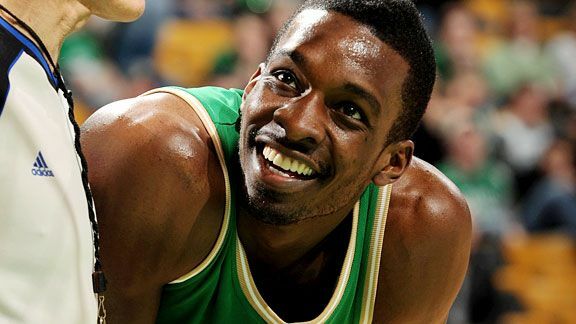 The best thing about Jeff Green is his athleticism. He can play the 3 or 4, rebound and put the ball back up in heavy traffic and is super quick. The biggest upside to this team compared to last year is that we can push the ball, no matter who is on the floor. On the second team, Jeff will be the star. He gets the ball and sprints the floor, something that our team struggled to do last season. It’s only preseason but he has put up more transition points (percentage wise) than anyone on our team last season. Jeff scored double digits in every game but two during the preseason. You can also expect to see him on the floor to close out games. Courtney Lee: Many people believe he will be starting until Avery Bradley returns, even though Doc has said that he will be switching line ups frequently. He is a great defender for his position and can help take some of the defensive struggles of Rondo and Pierce on perimeter players. Lee can run the floor with the second team and seems to be picking up the first team’s system real quick. 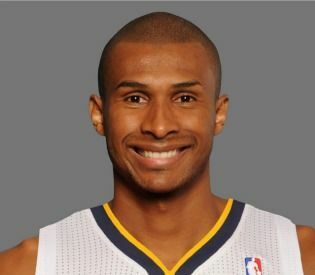 He can be good for 10-20 points any night and is an excellent free throw shooter. 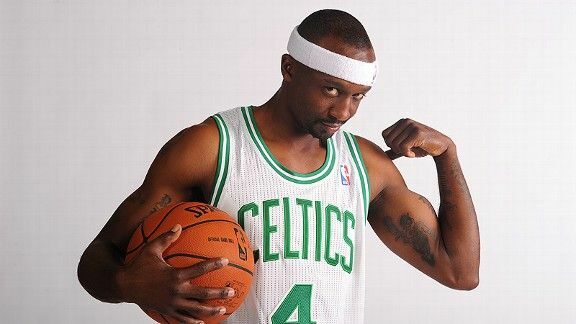 Jason Terry: He will be one of the fan favorites this season. He’s like a Scal with skill. He fully embraces any role that we put him into and loves the city of Boston already. He made a video of himself trying to learn the Boston accent and said that he wants to be the Laker and Heat killer already. Plus, he has already won a championship with Dallas and a sixth-man award for his amazing play off the bench. He is our sniper now without Ray Allen around. He made three 3-pointers in 2 games, 4 in another, and a perfect 5 for 5 in another during preseason. There was only one game where he did not make a 3 pointer. I see him on the floor at the end of games with KG, Pierce, Rondo, and Green, mainly because he can knock down a shot from anywhere on the floor and has already proven to be a clutch player. Darko Milicic: This remains to be seen. By now, everyone knows that he was chosen second in the draft behind Lebron but ahead of Wade, Bosh, and Carmelo Anthony. Unfortunately, he sat out some preseason games because he injured his wrist, but when he did play, he played like a Celtic. What I mean by that, is he wasn’t trying to be a star. Doc wants him to forget about being the #2 draft pick and learn to play in our system. That’s how anyone is successful here. 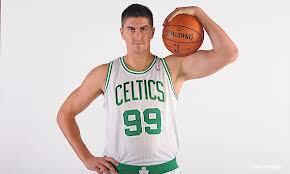 Darko is a 7 foot body that we can use to defend other big men. I think the main reason we got him is to beat the Lakers now that they have Gasol and Howard. He isn’t very skilled but can put in some high-percentage shots near the rim. We just need him to start rebounding like a 7-footer should. Leandro Barbosa: Although he hasn’t played in a game with us yet, and missed all the chemistry building exercises that the new team has been through, I think Leandro will be a good back up to Rajon. Most of his job is going to require him to get the outlet pass and push the floor with the second team. I don’t see them implementing too many set plays while he is running the point; it is going to be all transitional. He is a good defender and is super-fast. He is also a former sixth-man award winner. However, minutes are going to be scarce because Rondo will be on the floor quite a bit (averaged 36.9 MPG last season), and Avery won’t be out too long. We also have others that can handle the ball such as Terry and Lee. So I have made another poll below, to see if anyone wants to change their minds about who is the best player for us. What do you think? This entry was posted in Celtics and tagged 3 pointers, 3-pointer, Adidas, allen, Assists, Ball, Banner, barbosa, Basket, basketball, Bill Russell, Blocks, Bob Cousy, boston, Boston Garden, boston sports blog, brandon bass, Brian Scalabrine, bryant, Carmelo Anthony, C’s, celtics, championship, Chris Bosh, chris paul, Court, Courtney Lee, Danny Ainge, Darko Milicic, Doc Rivers, Dwayne Wade, dwight howard, Fab Melo, finals, Fleet Center, Garden, garnett, green, Hall of Fame, heat, Hoop, Irish, james, Jared Sullinger, Jason Terry, jeff green, John Havlicek, kendrick perkins, Kevin Durant, kevin garnett, Kevin Love, Kevin Mchale, Kobe Bryant, Kris Joseph, lakers, Larry Bird, Leandro Barbosa, lebron James, lee, Magic Johnson, Massachusetts, Michael Jordan, milicic, Naismath, nba, Nike, oston Sports Blog, Pau Gasol, paul pierce, pierce, Points, rajon rondo, Rebound, Red Auerbach, Robert Parish, rondo, Rookies, Russell Westbrook, Sophomores, Steals, sullinger, TD Banknorth, Tommy Heinsohn, Veterans, wade, White by christoph131. Bookmark the permalink.